7205 Charmant Drive has a Walk Score of 59 out of 100. This location is Somewhat Walkable so some errands can be accomplished on foot. This location is in the University City neighborhood in San Diego. Nearby parks include La Jolla Colony Park, Villa La Jolla Park and Doyle Community Park. Explore how far you can travel by car, bus, bike and foot from 7205 Charmant Drive. 7205 Charmant Drive has good transit which means many nearby public transportation options. Car sharing is available from RelayRides, Zipcar and Getaround. 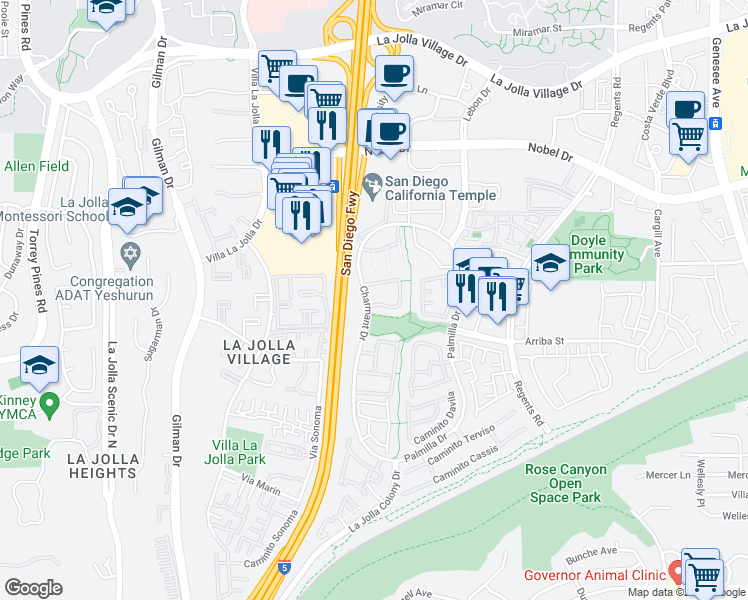 View all University City apartments on a map. 7205 Charmant Drive is in the University City neighborhood. University City is the 54th most walkable neighborhood in San Diego with a neighborhood Walk Score of 54.